Wiltshire is full of history, not just ancient like Stonehenge, Woodhenge or Avebury circles, but more modern, William the Conqueror history too. 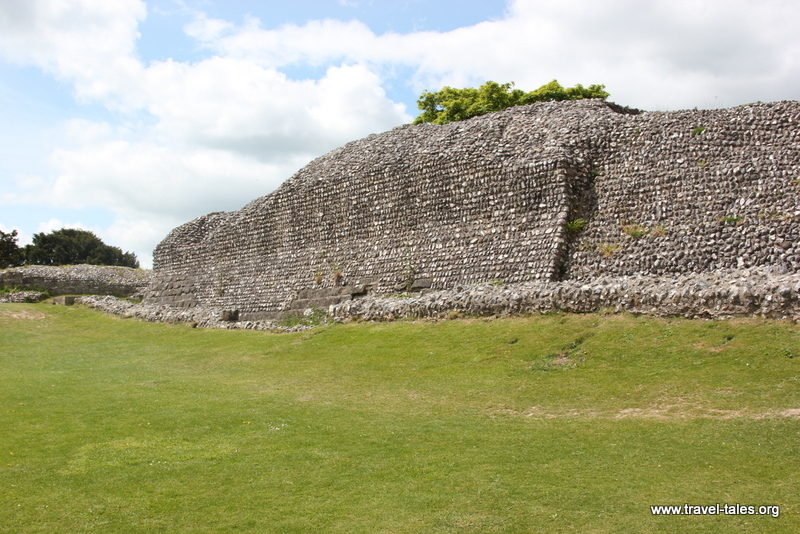 Mind you, when William the Conqueror built his castle at Old Sarum, he did so on ancient ruins. The location makes perfect sense, a hill overlooking Salisbury Plain, not too far from the south coast of England and because of the previous settlement it already had the beginnings of a moat (now full of grass and daisies). Once you cross the moat into the English Heritage maintained site, you can explore what is left of the thick flint walls that surrounded the castle. The well was inside the castle walls to ensure that water was available even in a siege situation. It was also the centre of gossip where kitchen staff met chambermaids and stable hands because water was important to all their roles. Photos are again taken by my friend Randy.